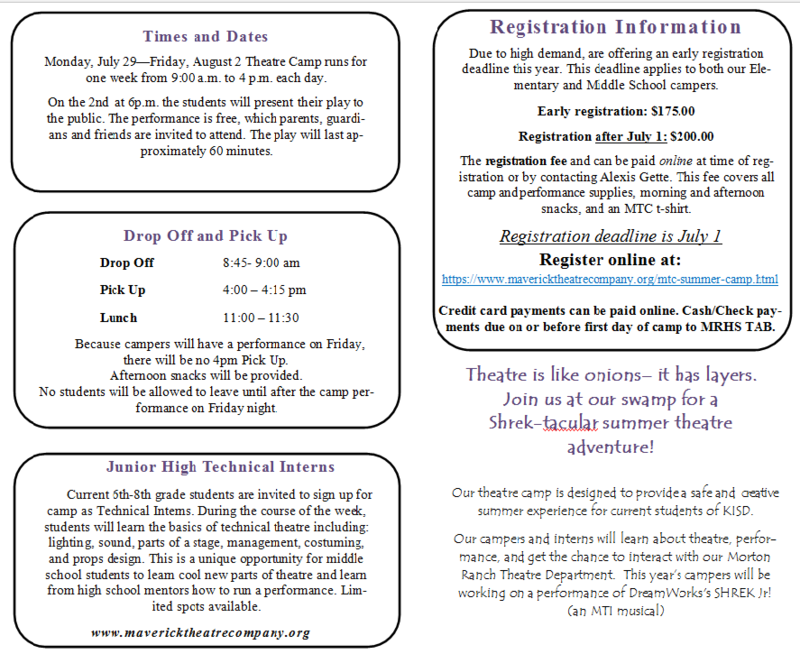 Our theatre camp is designed to provide a safe and creative summer experience for current students of KISD. 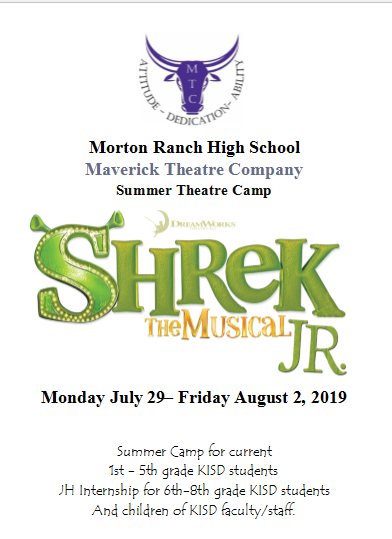 Our campers and interns will learn about theatre, performance, and get the chance to interact with our Morton Ranch Theatre Department. This year’s campers will be working on a performance of DreamWork's Shrek Jr! (an MTI musical) .